Many people believe that in the future optical computers will substitute traditional electronic-based ones. The biggest challenge for manufacturing optical microchips, however, is to be able to control light within the little devices. IBM recently announced that some of its scientists managed to slow down the speed at which light is traveling inside the microchips. They basically forced light to travel inside ring-shaped structures made out of silicon. The longest delay was achieved using 56 consecutive rings, and it added 0,5 nanoseconds to the time light would need to pass through the microchip. 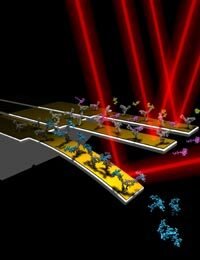 That increase of 0,5 nanoseconds translates into 10 bits of optical information, which could be considered a break-trough considered current standards. It is very likely that before the emergence of completely optical computers we will see the appearance of electro-optical computers. Such devices will use electronic parts to store data and optical parts to transfer data across the different components.